Scuba diving in French Polynesia is the dream, so we talk to GTS member Phoebe to get all the information we need! 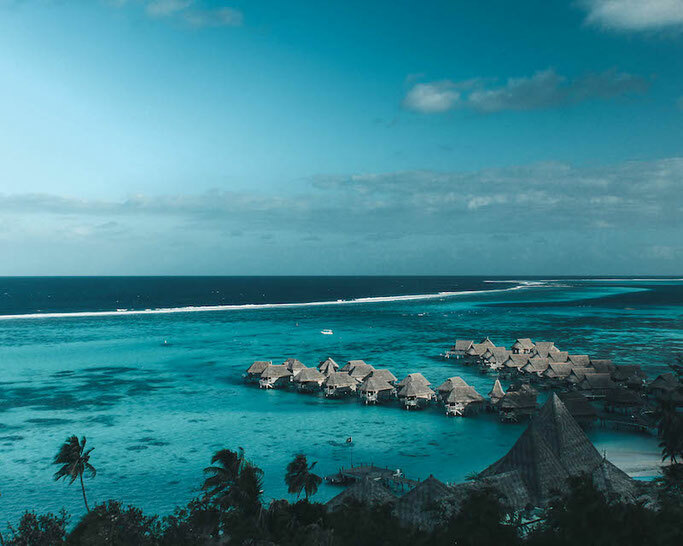 French Polynesia is made up of over 118 islands and atolls and is the largest expanse of territory, being overseen by France, so get the French linguistic skills out! The majority of this beautiful island collection is made up of the open Pacific Ocean-making it a dive lovers paradise. Historically famous with explorative sailors including Captain Cook on Endeavour and Captain Blythe on the Bounty, it’s now a picture-perfect setting for honeymooners and celebrities both on land and underwater. 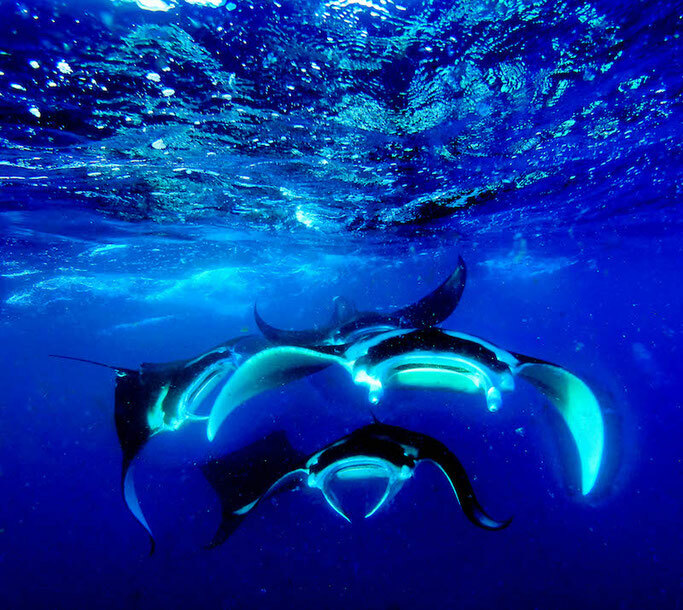 It has a high price tag but with that comes some of the most beautiful diving the oceans have to offer. Diving this area of the world, it’s not if you will see sharks but what kind, it’s not if you’ll see manta, eagle and sting rays but just how many. If you are a scuba addict and have the budget, this is a bucket list must! There are an enormous amount of dive spots in some of the most remote areas of the world in French Polynesia. But these are a handful of the best as recommended by a local dive master here all with access to one of the eleven dive centres on the islands. Expect incredible visibility, minimum being 30m all the way to 100 m on the best days. For drift dives, there is Rangiroa, Fakarava and Bora Bora with ideal high currents in the passes. 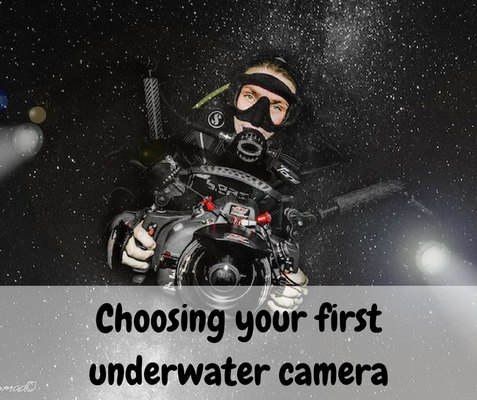 The difficulty is based entirely on the dives you choose to do, there is variety to do complete beginner fun dives, aeroplane wrecks in Tahiti to dives available only to dive masters due to currents and tendency for large swells. Diving in French Polynesia expects to see an enormous amount of variety in both fauna and flora- if you take a search on the web you the number of species is knocking in at around 950. If that isn't enough-a local environmentalist said to me on this number, ‘That’s wrong, the underwater world here hasn’t been thoroughly documented like other oceans. I couldn’t give a number but there is far more than what’s recorded in scientific research so far.’ Documented there is twenty types of shark, including blacktail, white oceanic, hammerhead and whale. Turtles, manta, eagle and sting rays pepper the numerous reefs of the islands and atolls with the perfect conditions for both them and divers alike in the balmy 27’c-30’c waters. Made up of 77 atolls (a ring-shaped reef, island, or chain of islands formed only from coral rather than land mass or volcano.) Covering massive amounts of vast oceanic expanse but with only 850 km squared of actual land in all the 77 atolls. It seems the rings of palm tree flourished sands are very close to being engulfed in the blue, shark-laden waters that surround every atoll and island here. The largest atoll in the Tuamotos and the second largest in the world, it is most famed for its perfect crystal clear water, even for French Polynesia, and its pass dives. The pass of the atoll is the area in which coral isn’t present allowing boats, divers and sea creatures alike access to the lagoon inside. The currents through Avatoru and Tiputa pass, the two main passes for diving in Rangiroa flourish in the ebb of the tide with small fish, along with attracting there bigger predatory brothers. It was no surprise that a diver explained the dive as ‘more shark than water, just shark on shark on shark!’. These passes do carry with them the need for some level of diving understanding due to the strong currents. But with these currents, they bring incredible amounts of marine diversity into the lagoon that has far calmer, waters. Expect in the dive to see vibrant hard and soft undamaged corals along with a myriad of fish; barracuda, shark, dolphin, rays, turtle, sturgeon, parrot, puffa and many more. A local tip: If you want to see hammerheads, head here between December to March, namely to Tiputa pass. 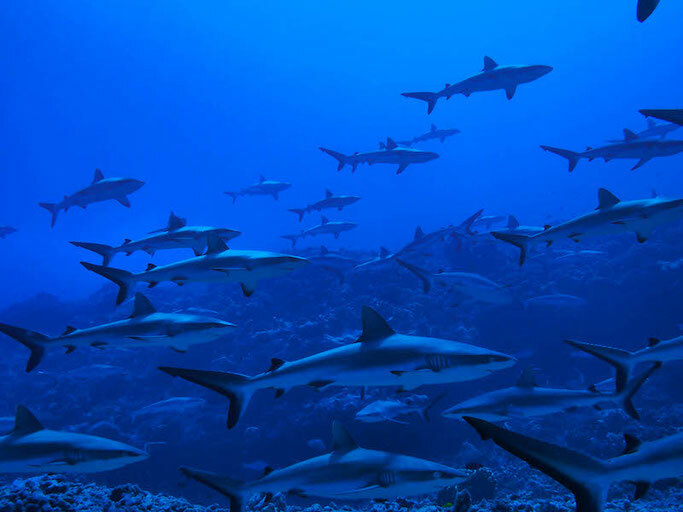 Obviously, it will depend on the dive, but in the 200 odd dives they have done in Rangiroa, in these months you’re seeing hammerheads every other dive. Fakarava, the second largest of the Tuamotos, it is a UNESCO biosphere reserve, so it needs no introduction as to what the diving is like here. Considered by many locals as the creme de la creme of French Polynesian diving it has two main sites, the North (Garuae) and South (Tumakohua) passes. Being passes these require some previous experience, but both CMAS level one and Open Water will suffice. The north is considered the more technical, less remote partner to the south pass. The dives are spent together with turtles and eagle rays riding the currents with you while clouds of Rock Beauties, Parrot, and Angelfish glide by. Darting Tuna, curious reef and lemon sharks make up the myriad of Fauna you’ll expect to see here. Local tip: Other atolls recommended for incredible diving; Tikehau, Toua. 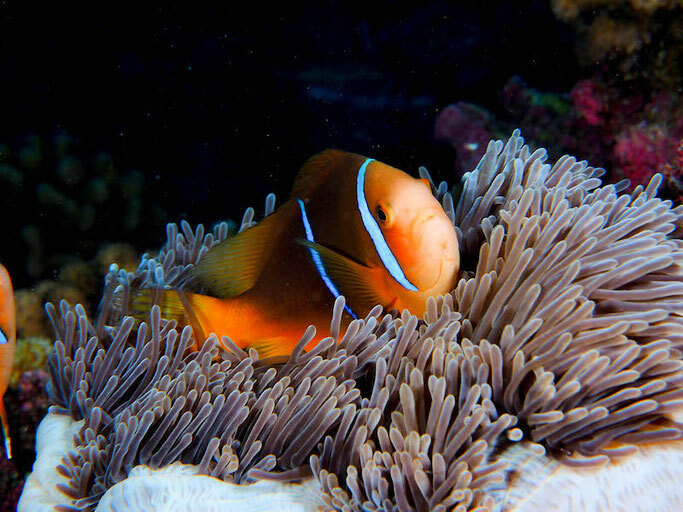 Or how about heading over to scuba dive in Rarotonga in the Cook Islands or even Aitutaki. No doubt where you will be starting your journey in French Polynesia, its capital Papeete houses the main international airport on the bigger island of Tahiti Nui, with its wilder little sister Tahiti Uti sitting next to it. But it is so much more than just the start of your journey, waterfalls, hiking, surfing and of course, diving. 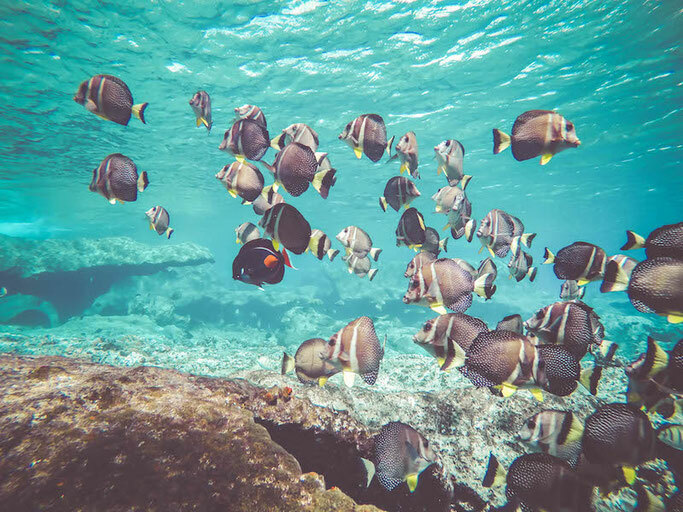 Don’t expect the immense marine diversity that is so iconic to French Polynesia here, but do expect some awesome wreck dives, including the aquarium and the cargo ship, a sunk aeroplane to explore and the perfect beginner dives to flex your diving muscles. To become open water/CMAS level 1 qualified. Seasons are important here to see various wildlife, namely June-October for Manta Rays and July- November for Humpback Whales. Local tip: Head to the dive site Valle Blanche for a strong chance of seeing Tiger Sharks. Falling in love here isn't hard to do, the honeymooners wonderland, Bora Bora is the stereotypical beach paradise, but it offers so much more than picturesque bungalows on stilts and romantic getaways. 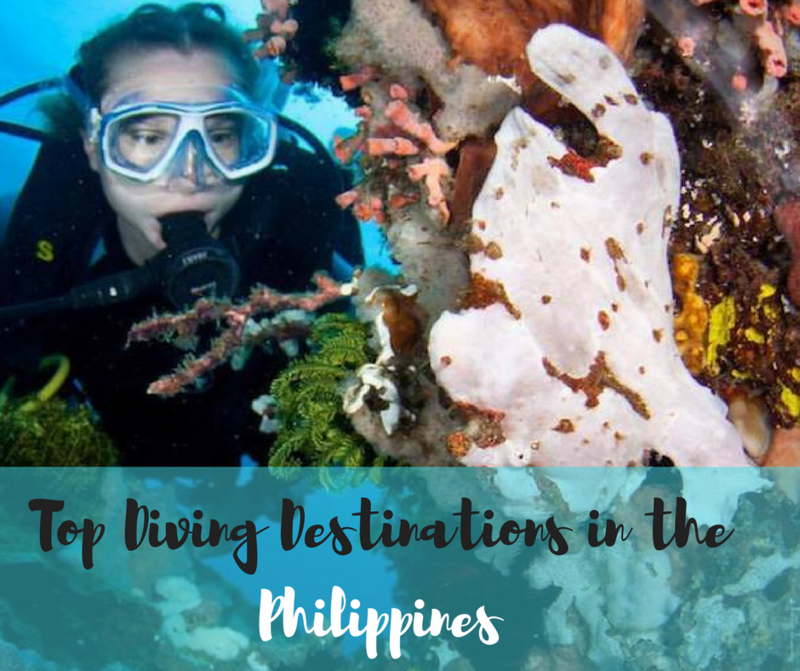 The underwater world is just as easy to fall for, sitting in a tranquil marine blue lagoon, the islands underwater world is protected by wiggling reefs and islets that encompass it. This is all bar one pass in which marine life can head through. For divers this all means, calm, high visibility waters, beautiful coral cliffs and an absolute haven for manta rays, all year round. Aside from the majestic gentle giants, there is also the colourful species of reef fish, eagle rays and as ever with French Polynesia, several varieties of shark- this dive included lemon shark, white and black tip for me. The main dive sites in Bora Bora includes Tapu, the site you will be seeing sharks, Teavanui pass if you are wanting a drift dive and Tupitipiti for caves and canyons. Often the dives are not given names heading with centres, go with the flow, wherever you are, you will have an incredible underwater experience. Local tip: The highest chance to dive with humpback whales is generally thought to be Tupai. This dive site is the only atoll of Bora Bora and is the island you will see popping up on google in a heart shape. Head here between the months of August to October for the highest chances of whale spotting! What are the costs in French Polynesia? French Polynesia does not come cheap, products are heavily taxed and being in the middle of the Pacific Ocean with few residents means expensive import costs. But trust me, it is worth every penny. Meals: Using the Les Roulettes that are common on every island (food trucks) 1,000-15,00 XPF meals can go into the hundreds if you so wish at resorts and the high-end restaurants. Apartments: Starting at 6,500 XPF looking to 10,000 XPF. If you are a first-time diver wanting to take qualifications here you will more likely be qualified with the French, CMAS certificates. Two tank dive: 12,000-15,000 XPF. Have you been scuba diving in French Polynesia yet? Written by Phoebe Howlett who 4 years ago was diagnosed with an illnesses that made her so ill, they said she would never be able to recover to lead a normal life again. However, she completely changed her lifestyle; diet, exercise, and attitude to life and with these changes came her recovery. She now want to show that everyone can make the most of their life, creating The Chance of Choice to do so. Follow her journey on  Facebook.